Have you been charged with a crime? If you have, it is important to understand that you are about to enter the criminal justice system. In here, your best bet at getting the best possible outcome is to hire a competent and experienced criminal defense lawyer. 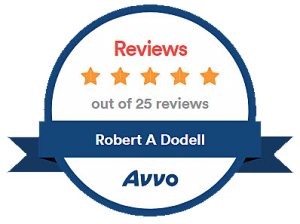 Robert Dodell is the personification of excellent legal counsel. While you can find other defenders to represent you, you want one that has years of experience and extensive knowledge with these types of cases in your area. The big question is: Why should you hire Robert Dodell? Plain and simple, the answer is that he possesses the local advantage that you’re looking for. Keep in mind that it is best to hire a lawyer who is experienced in courthouses where the defendant’s case is filed and heard. It is true that laws are the same throughout the state. However, the policies and procedures themselves vary from one locality (or courthouse) to another. Robert Dodell is experienced in all the criminal laws and proceedings in Scottsdale, Arizona. He is equipped with knowledge regarding the many of the prosecutors. As a local attorney, he is also familiar many on the police officers and how they handle their cases and how they testify in court. As an attorney defending you, having experience with both local policy, procedures and personnel can be a huge advantage for your case. You need to go with a lawyer who has previously represented defendants who had cases and offenses similar to yours. These days, criminal law encompasses so many subspecialties, such as drug offenses, white collar crimes, drunk driving, domestic abuse, and more. You can be sure that whatever it is, Robert Dodell has handled it before. His experience is wide and extensive. Before hiring him, you are more than welcome to inquire about his previous experience with criminal cases. You can ask him any questions and open any concerns that are bothering you. He will work for you and with you to the best of his abilities. Working together, he will work up with the best possible defense for your case. You will be working together, with him offering guidance and expert opinion about legal proceedings and projected outcomes. One of the most common pitfalls of employing a criminal defense is hiring a lawyer who, no matter how qualified and knowledgeable, doesn’t speak the defendant’s language. The most important factor to consider is your comfort level with your lawyer. If you are facing criminal charges and do not know where to turn to, know that there is someone who is willing to help. Robert Dodell is just a call away, ready to lend a helping hand. His legal expertise will give you that fighting chance. He will let your voice be heard. He is your advocate – someone you want in your corner.